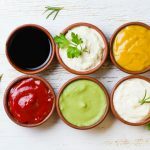 You wouldn’t think that drizzling a little of your favorite ketchup or BBQ sauce would make a huge difference, but condiments are a hidden enemy when you’re trying to cut back on sugar and sodium! 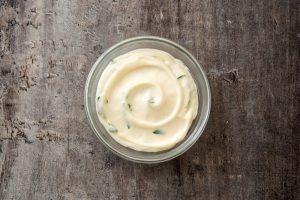 Instead of giving in to the curse of processed condiments, whip up a healthier condiment instead! The trouble with condiments is that most of us go overboard, turning a little drizzle into a whole dollop of extra salt, fat, and sugar. 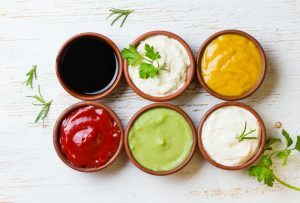 From high-fructose corn syrup to straight up white sugars, store-bought condiments and sauces often contain hidden sweeteners and sodium to keep them from going bad and boost flavor. But, that isn’t helping you out when you’re dressing up your healthy meals! 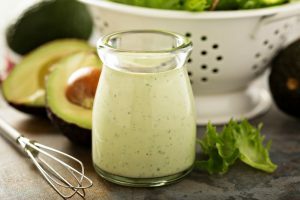 This healthy condiment adds a nice, citrusy zing to your favorite dishes from southwest cuisine to your favorite egg breakfast! 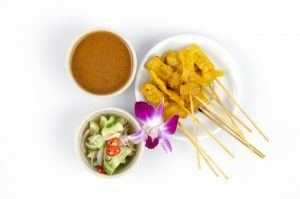 Skip the sugar in bottled thai-style peanut sauces for this spicier healthy peanut sauce! It’s the perfect way to top off a veggie-filled thai wrap or stir fry! Mix peanut butter, soy sauce, True Lime and red pepper flakes. This flavorful and healthy condiment is perfect over cauliflower rice or even roasted veggies with lean protein for a quick meal! 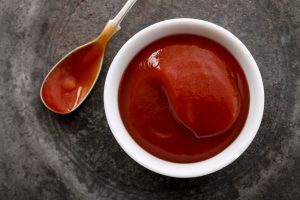 Yes, ketchup does have less calories than some other condiments like mayo, But, according to the Metabolic Research Center, bad far outweighs the good! Store-bought ketchup is often packed with sugar and, if you’re someone who adds it to everything, it can easily lead to a sodium overage. Not to worry – we’ve got the homemade alternative you’ve been waiting for. Roast first two ingredients 40-45 minutes, or until the tomatoes are shriveled and most of their liquid is absorbed. As much as we love you, barbeque, you aren’t helping us out on our quest to kick sugar! 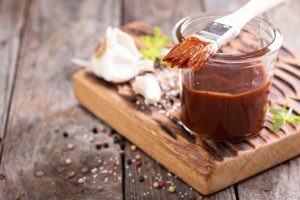 The amount of sugar in your favorite BBQ sauce depends on the brand, but you can usually expect at least 4g and up to 12g per serving. No thanks! This recipes significantly cuts back on the unhealthy aspects of barbeque sauce without sacrificing flavor. 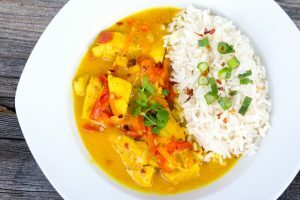 Heat the vegetable oil in a small saucepan and cook the garlic over moderately low heat until fragrant, about two minutes. Add the hoisin sauce, soy sauce, sake, ketchup and rice vinegar and simmer over moderately low heat, stirring about three minutes. You might just kick mayo to the curb completely after you try this healthy condiment swap! You won’t miss it – we promise. Place raw cashews in a bowl and cover with boiling water. Let rest for 1 hour, uncovered, then drain thoroughly. Add soaked, drained cashews to a high-speed blender with 1/2 cup almond milk, lemon juice, sea salt, maple syrup, pepper, smoked paprika, oil, and adobo sauce. Blend on high until creamy and smooth, adding more almond milk and scraping down sides as needed. Taste and add more salt to taste, lemon for acidity, maple syrup for sweetness or adobo sauce for heat. Serve immediately or refrigerate for up to five days.